I’ve previously mentioned that I keep my eyes peeled for tabletop games themed around real-world religion. But these kinds of games are rare because releasing anything into the glutted tabletop marketplace is a gamble, and most companies try to minimize their risk by avoiding what they see as unnecessary controversy. Then there are those like Minneapolis locals James Kenna and Zach Rapatz, who utilize crowdfunding to publish outlandish games for the people who want them, such as their debut title, Saved The Game. 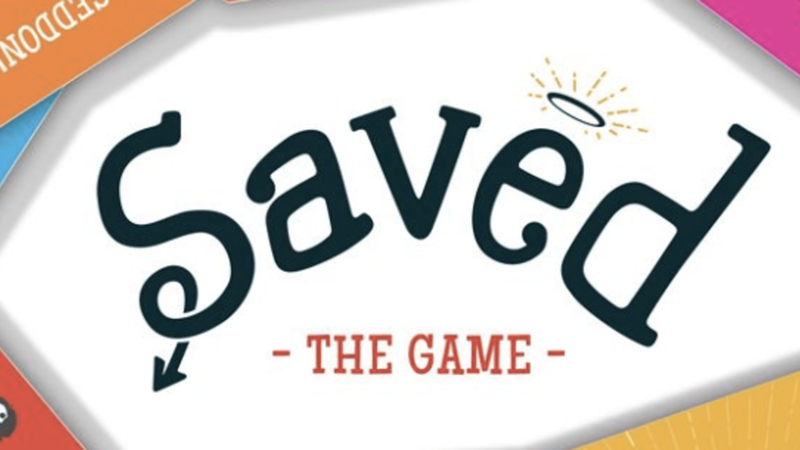 Saved is a game for adults who are trapped on a doomed Earth and are competing for the last open space in Heaven. In spite of the dire theme, it’s treated with utter irreverence. I can’t speak for everyone, but as someone who takes religion seriously, the tongue-in-cheek tone of the game is so noticeable that I have trouble imagining anyone who might be offended by it, as it is clear that the traditions of faith incorporated in Saved are not being made fun of, but portrayed as exaggerated caricatures of themselves that (hopefully) no one playing misconstrues as accurate representations. You could think of Saved as Munchkin meets moral objectivism. Saved is card based, with players adopting the roles of characters so depraved that they are named after the seven deadly sins. Each has a unique ability, as well as a Religion card that affects end-of-game scoring and is kept secret from the other players (my flavor interpretation is that the religions are not spoken of because, while these people are all believers of various types, they see one another as wretched heathens who couldn’t possibly understand the truth even if it were shared with them). 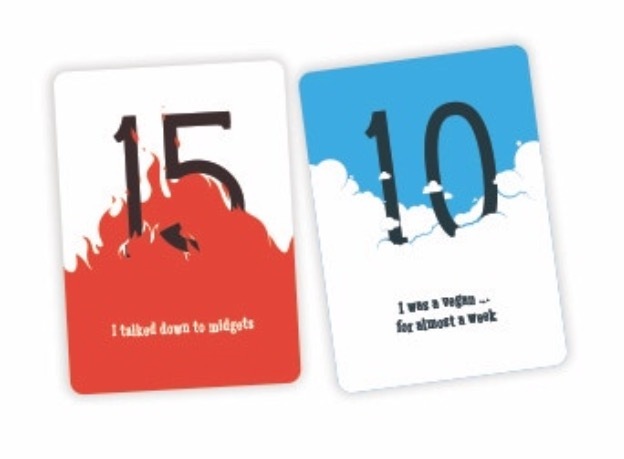 The game uses a simple “play a card, draw a card, next player” sequence common to party games such as Cards Against Humanity and Apples to Apples, but makes use of Virtue and Vice cards, which respectively raise and lower the score of the players on whom they are played, as well as Morality cards that manipulate the game state. Finally, Karma cards are revealed immediately when drawn, and punish or reward the player for what they did on their previous turn. There is a high level of variance here, but this is something common to games that use a common deck. Like Munchkin, there’s a lot of “take that!” play in choosing the victims of the Vice cards you draw, and the hidden religions make it so that you never really know who’s ahead, which allows for players to use table talk to their advantage if they so choose. What you end up with is a game with some strategic depth to it, that players of the above-mentioned titles will feel right at home with. Anyone interested in taking a closer look at Saved The Game can come to Clockwerks Brewing in downtown Minneapolis on the evening of Tuesday, June 26th, to meet with the designers and try out the game. There will also be a giveaway, as well as an opportunity to obtain custom cards. Play officially starts at 7:00 p.m., but demos will continue until James and Zach are too drunk to explain the rules properly. Each game of Saved has an estimated playtime of 20-30 minutes.